Working out of the home can be a challenge for many. Finding a space to store supplies for projects can be a nightmare. As a seamstress working out of my home I always have fabric and other supplies on hand. But where do I put it all until I have a use for it? Many years ago we were living in a small two bedroom apartment. The apartment was bigger than our first place but little did I know 1200 sq. feet would disappear very quickly as we began to move in. My sewing room was a small office off the master bedroom. I soon found out this small office was much too small to be a sewing room. But as anyone would do in my position we make do with what we have. I have yet after all these years found the right way to store the fabric I have on hand. 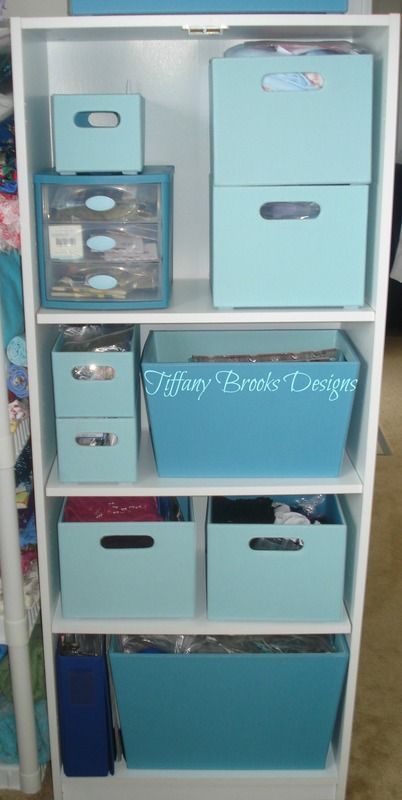 But as you can see a tall book shelf and some storage bins are a great way to add some sort of organization for the small items. A few of the bins were big enough to store some small projects that were incomplete at the time. Having all the pieces to an outfit in one bin really helps when you are working on a project. So far the plastic shelving (I bought the white one at Wal-Mart in the hardware department) has been a good way for me to store my fabric. I have the fabric organized on the shelves by fabric type. If I want to work on a quilt I know to go straight to the cotton shelf to see what cotton fabric I have on hand. When organizing, I always look at what I have at the time. I had these shelves already so I had to think of a low cost way to organize with these. Ideally something with doors would have been a better way to hide the clutter. I settled for these bins at Target as they are durable and easy to arrange in different spaces. This is how I organized my small work space in 2008. Soon I will share pictures with you of my new larger space. 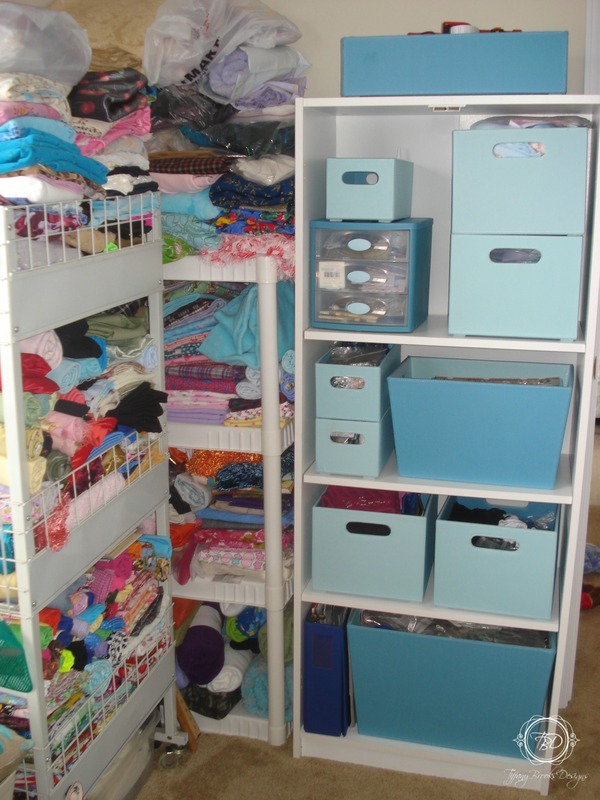 And I will let you in on a few secrets to storing without cluttering. If you have a twitter account be sure to start following my blog. 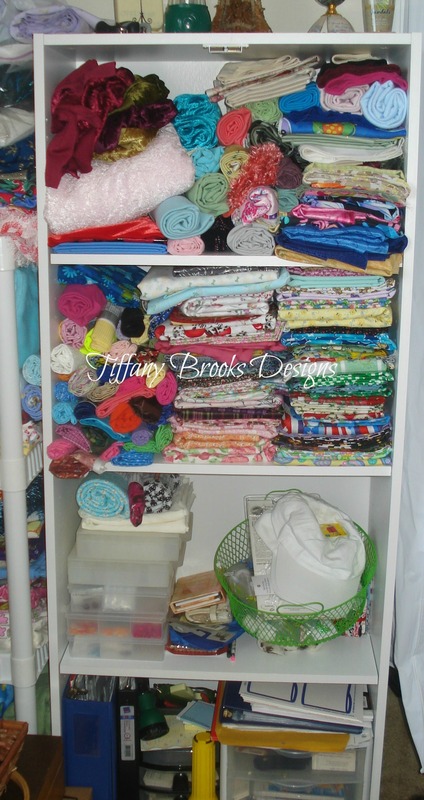 My blog will range from sewing and organizing as well as other crafty stuff. If you have ever wondered “how did she do that?” well you might just find out here. One of my favorite sewing projects is when someone sees and item in my shop for a little girl and they want one identical for their pet. This really is fun to recreate that one unique item to another for someones four legged friend. 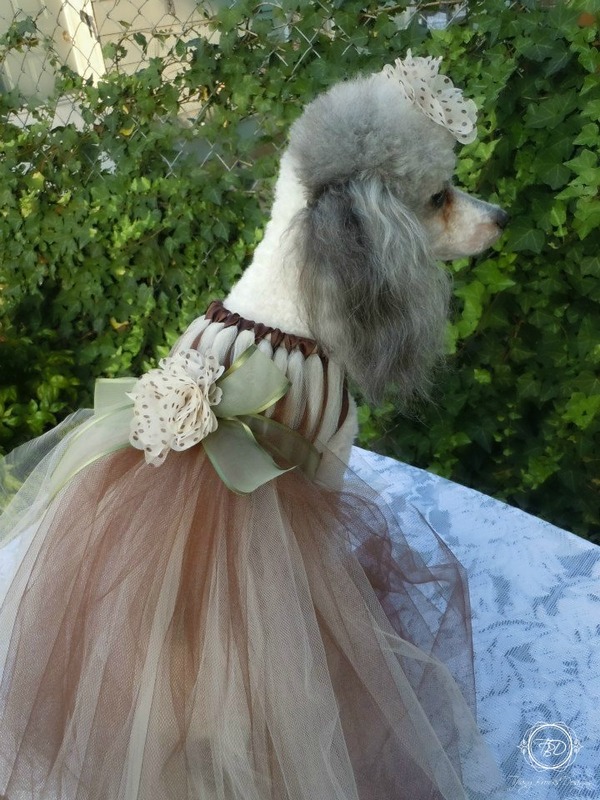 Some would think that recreating a child’s dress would be just as easy since the pets dress is smaller. Honestly, it takes my twice as long to create these dresses for pets. It is a challenge as they do not get and elastic bodice or waist on their dresses. Many things have to be taking into consideration: pets size especially. It is a challenge that I love especially when I see the finished project. 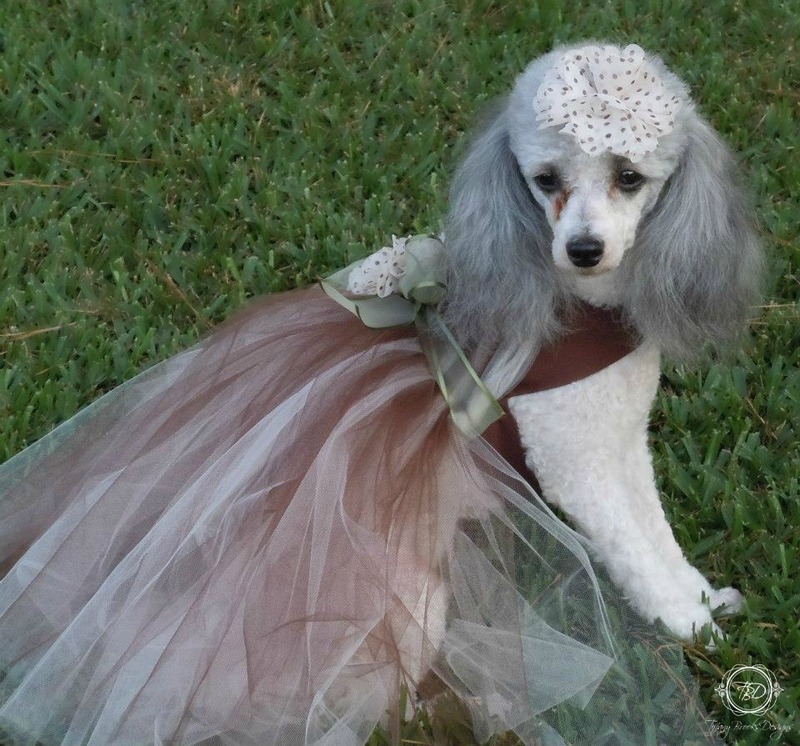 At this time the little girl tutu dress is still available in our etsy shop.